The market looks like it’s starting to heat up and just in time for these token sales. Check out our 3 ICOs to watch in August, and let us know if you’re considering joining their whitelists in the comment section below. 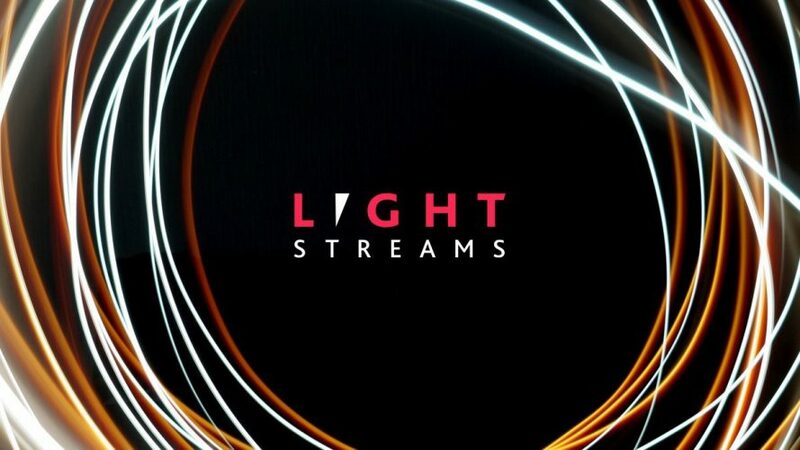 LightStreams is a blockchain project aiming towards solving problems relating to data storage and content sharing, particularly in peer-to-peer exchanges. They look set to disrupt the digital music market where 70% of profits can go to middle-men instead of artists. Of course, there are other possibilities for LS beyond music sharing. Their team is very strong and is headed up by Michael Smolenksi, an ex-Goldman Sachs software engineer. Other experience from the team comes from Cambridge University, MotionWerk, Trivago, HotelBeds and Thomas-Reuters. Contacts we have been working with have come back with glowing reports of the team’s overall professionalism and ability to get things done. Their advisors are solid also with notable mention to Dimitri De Jonghe, Co-Founder of Ocean Protocol, and George Samman. The partnerships LightStreams are making are some of the most bullish aspects of the project so far. They’ve partnered with some seriously big hitters in the VC world including; CoinLab, Byzantine Partners, Invictus Capital and ZeroCap. Perhaps even more impressively – they haven’t sold out their crypto principles and have allowed select pools to participate. Once again they’ve gone for the biggest and best strategic pool partner possible in ICOPC. The other is another big player called Moon Syndicate. LightStreams are not content with just being a content publishing blockchain (see what I did there). They’ve partnered up with Akropolis to explore pensions and long term savings on distributed wallets. With Smolenski’s know-how and probable contacts from his days at Goldman-Sachs you’d expect them to do very well in that market which is absolutely gigantic in terms of revenue. LightStreams is a project we’re very bullish on. The combination of factors here are very positive; infrastructure project, very capable team, right blend private partners, and a relatively modestly sized hardcap. This is definitely one to keep an eye on in the coming month. For further information join their Telegram. Okay, so technically this project is launching it’s crowdsale right at the very end of July – but what the hell. The team is very solid with highlights including experience from Google X, QTum, Orient Securities, iQiyi, Smart Dubai, HSBC and Shanghai Media Group. There are also team members with previous startup experience. The advisor list is strong also. The VP of HP Asia Pacific and Quarkchain’s CEO are notable inclusions. Several other individuals with venture capital experience fill other advisory roles. Kucoin as partner more or less suggests that’s exactly where they’ll be listed initially which is a pretty decent exchange. Their alliance with Quarkchain is also a very positive one. Ease of access to ICOs is unfortunately a very important factor when investing these days. If every pool and their grandmother have access to an ICO it tends to perform poorly afterwards – as a rule of thumb. The logic in this is that there are limited numbers of buyers left if too many pools have access. Drep was very difficult to access in private rounds for ordinary Joe-soaps like us. Most of the presale allocations were filled by Venture Capital funds. This is a positive indicator for later performance. 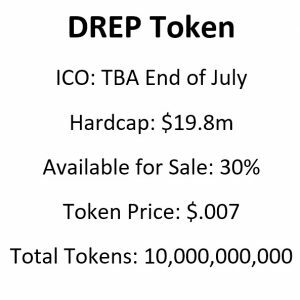 Drep have reduced their hardcap dramatically which is very good news for investors. Their initial cap was $28.7m but now it’s $19.8m. Seeing as they’re providing three solutions (blockchain, protocol and dapp incubator) this is relatively low raise in comparison to others. 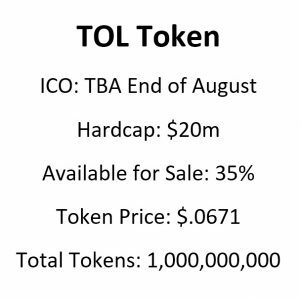 i) They’re selling only 30% of the tokens. i) The recent poor performance of very good projects like Atonomi and OneLedger. Nonetheless, the combination of a good solution (including a blockchain), a solid team/advisors, and scarcity in access make this project one to watch in the future. Visit their telegram for further details on their crowdsale. 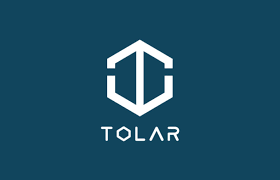 Tolar is an open source, community governed crypto-currency featuring scalable, fast, secure, and fair transactions. They’re one of the leaders in the TPS wars that have been going on between blockchains and are boasting a prototype that reached 130,000 TPS in a test environment. Their team is fairly good and is large in size. Many of the members have experience working and studying at Cotrugli Business School which is arguably the top business school in Eastern Europe. What’s especially interesting about their team is the blend of skills within it. So often we see projects that are stuffed with tech guys or academics and very little business acumen. Tolar have a robust team composed of a board, a tech division and a business division. Each division are well equipped with relevant experience. Their advisor list is long and again includes heavy experience from the corporate world, but also from the cryptocurrency, enterprise, security, legal and academic worlds. To date, most of Tolar’s partnerships have been with capital raising entities. This is a positive because of the number of entities interested but also because smart money tends to follow smart money. We would however like to see them build more meaningful partnerships that will help further with adoption. Tolar reduced their hardcap significantly from approx $35m to $20m. This is very good news for investors who hope for low valuations of projects. It also helped them climb higher in Ian Balina’s spreadsheet to third place. The hype generated by his spreadsheet alone is a positive signal. 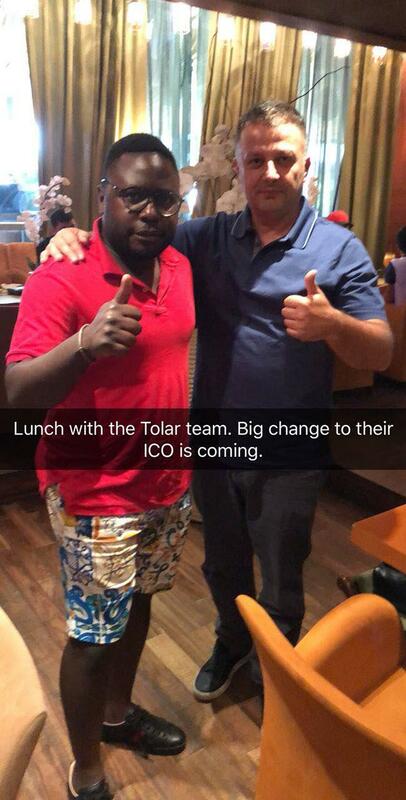 Tolar ticks a lot of boxes when it comes to ICO investing. 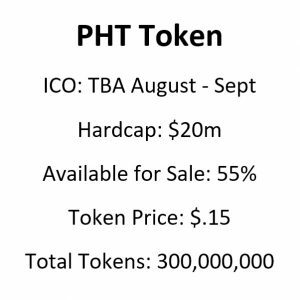 A large and competent team are in place, it’s a blockchain project, high TPS, has influencers behind it, and is relatively low cap compared to others. With lots of competition in the space there are some doubts however. For adoption to take place partnerships are crucial and as of yet we’ve seen little in the way of this outside of raising capital. Nonetheless, we believe Tolar is certainly one to watch going forward. For information on their sale visit their telegram.